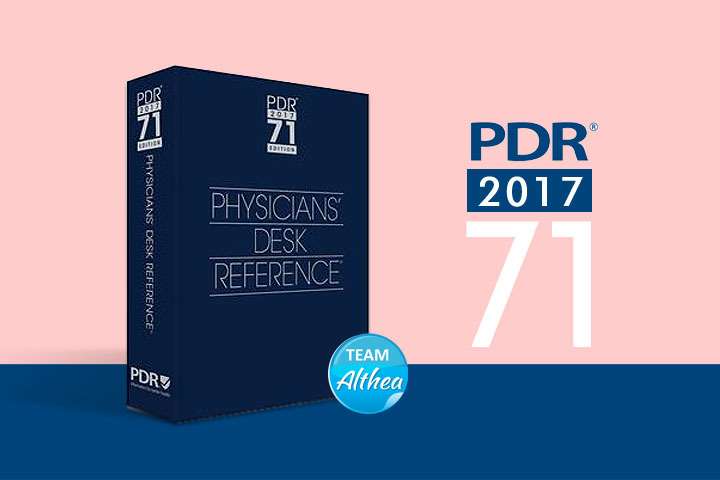 Laminine® has been included in the 2017 edition of the Physicians’ Desk Reference (PDR). The Laminine excerpt now includes our newest clinical study on Laminine and IMMUNE+++. This study was recently conducted by Dr. Hitendra Shah, M.D. and Dr. Edward Andujar, M.D. The PDR is considered the authority on prescription medications and alternative supplements and is used by more than 60,000 physicians in the United States every day. It is moving forward again this year for the 2018 recognition. The study showed consumption of Laminine and IMMUNE+++ for 12 weeks significantly improved several types of white blood cell counts. LifePharm® Executive R and D Scientist Kimberly Lloyd M.S. presented the groundbreaking study at the American College of Nutrition (ACN) 57th Annual Conference in San Diego, California last November. It was also published by the ACN. Click the link below to view the Laminine excerpt in the 2017 PDR. Orange County-based LifePharm® is proud to announce its flagship product, Laminine® was vetted and accepted for publication in the 2017 Physicians’ Desk Reference® (PDR). The PDR is considered by many in the medical community to be the authority on prescription medications and alternative supplements. It is used by more than 60,000 physicians and health practitioners nationwide. The study took place over a 12-week period in Diamond Bar, California and was conducted by Dr. Hitendra Shah, M.D. and Dr. Edward Andujar, M.D. It was designed to test the effects of IMMUNE+++ independently and in combination with Laminine in total white blood cell count, which included Natural Killer cells, B cells, and T cells. The results were found to be encouraging and highly noteworthy. This study was also accepted for presentation at the prestigious American College of Nutrition 57th Annual Conference in San Diego, California and continues to garner substantial attention. 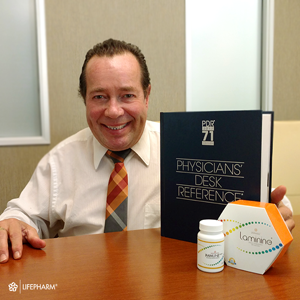 In addition to IMMUNE+++ and Laminine, LifePharm produces two other supplements—OMEGA+++ and DIGESTIVE+++—all exclusively manufactured in the U.S.A.
A pilot study was undertaken to observe a possible trend of the effects of Laminine, a dietary supplement, on normalizing blood sugar levels in subjects beginning to experience unhealthy blood sugar levels. Subjects’ Hgb A1c (hemoglobin marker for blood sugar levels) were assessed at the beginning of the study and after 12 weeks of taking two supplements daily. Eleven individuals participated in the study. Three subjects took a placebo, four subjects with slightly higher than normal Hgb A1c levels took two Laminine daily. Four subjects who were on blood sugar lowering medications that had been previously prescribed for them took two Laminine daily.